I had great success in predicting and providing live trading tips for IPL matches on Betting Adda. Most of my followers made nice profit and majority of them made first time profit in their lives. The next tournament to cover is NatWest T20 Blast. T20 Blast is a different league altogether as it has two groups and they play more than one match in a day. We can’t apply IPL betting strategy in this tournament. You might be tempted to ask following questions. How do we trade in T20 Blast? Is it really possible to make same amount of profit as we did in IPL? I knew these questions will be raised sooner or later so I decided to put together this post explaining why T20 Blast is different than IPL and how to bet on T20 Blast matches. I’ll not be able to provide all match reports as it’s too much of work for me. Then comes knowing the tournament, teams, players and venues. Again it’s entirely different than IPL. In IPL we all know each and every players, well almost sort of, except those new comers. In T0 Blast I’m not so much familiar with players and teams. Also overseas players don’t exactly perform as they do in IPL. IPL is more or less predictable when it comes to top players. We all know that Gayle will go berserk in one or two matches at least if not in all. We all know that ABD will not stop scoring, similarly we can predict almost each and every player based on their past performance. Not only players, I could also predict team’s performance and pitch’s behavior too. I don’t have such in-depth knowledge of T20 Blast and the main reason for this is the lack of TV and media coverage of this tournament. How did I prepare IPL match reports and provided predictions & tips? I had collected a lot of data from past IPL and prepared report for each market as required. If you have purchased my IPL strategy then you can clearly see the result of my hard work in collecting data. Thanks to my research I was able to provide profitable trading tips in all matches except one. I even warned in advance that at least 1% of trading tips will fail. I expected 2 or 3 failures but luckily we had only one failure in 60 matches. Unfortunately I don’t have such in-depth analysis of T20 Blast available so it’s not possible to provide predictions and tips with same accuracy as I provided for IPL. How to bet in T20 Blast matches? The best way to make easy risk free profit in NatWest T20 Blast is to follow my NatWest T20 Blast Betting Strategies. As I said above it’s not possible for me to provide live trading for each match and it’s not practical as well. Most of not televised matches will have very low liquidity on BF so it’s not ideal for trading. And most of the matches are played same time which makes it impossible to trade on all matches. In my strategy you can play each match and that too in advance. You don’t need even watch the match or know score. Before start of match place your bet on BF and at the end of day check results and count profit. Account on Betfair is must if you are serious about earning profit. This strategy can work with local bookies but it will not be as effective. 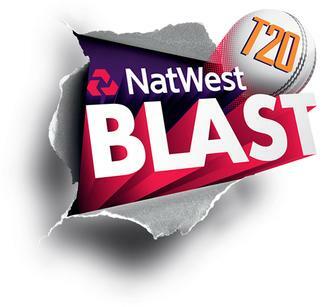 If you want to make serious profit in NatWest T20 tournament then follow my NatWest T20 Blast Betting Strategies. We are already in the 3rd week of the tournament and the strategy has already been profitable each and every day. Visit bettingadda.com and follow my predictions & tips there if you want to recover loss. You can take premium membership on BettingAdda.com and hang out there to learn how to trade. That’s your only hope and stop gambling. Vai apnar member hote chay!!!!! Munna vai apnar sate kotha bolte chay??? ?